Watercolor on cotton paper. This painting originated from my archive of photos I have taken over the years. 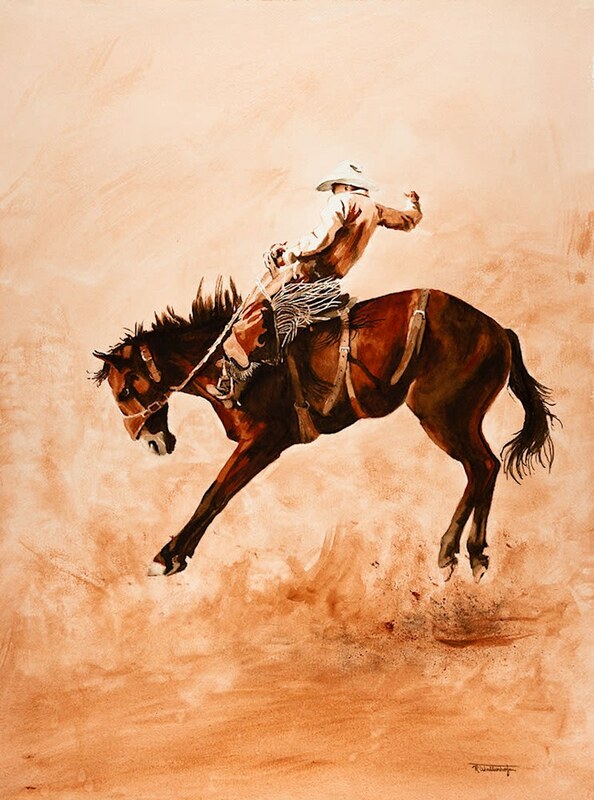 Rodeo is a sport that offers unlimited action. This cowboy made his ride - what his score was, I don't recall or if he was in the money.